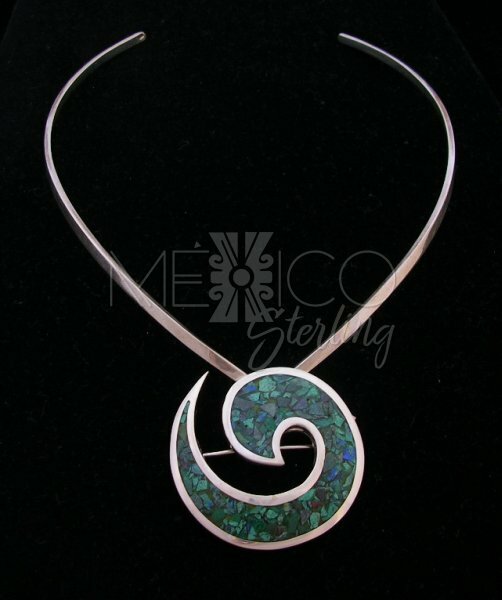 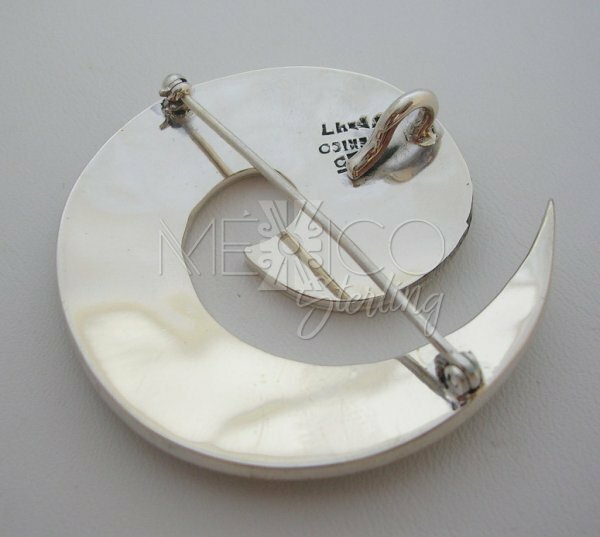 Old Taxco Style Silver Inlaid Malachite Pin - Pendant [PNBR2405] - $75.00 : Mexico Sterling Silver Jewelry, Proundly from Mexico to the world. 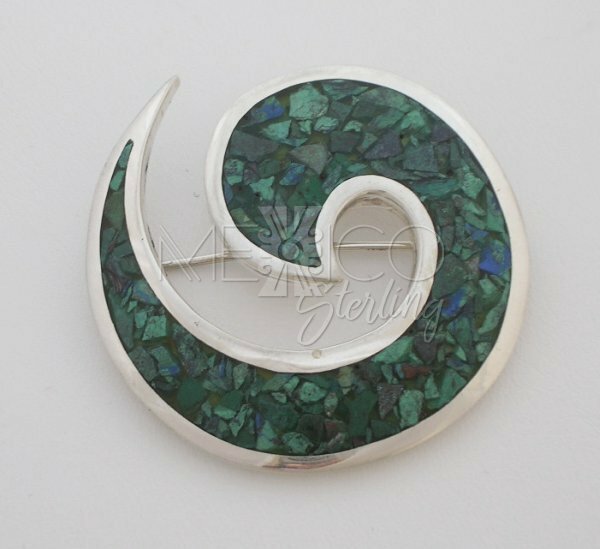 Dimensions: Width : 1 7/8" Length : 2"
This is a beautiful and charming piece, with a very nice inlaid work, that shows a wonderful contrast, between the silver edges and natural malachite background. 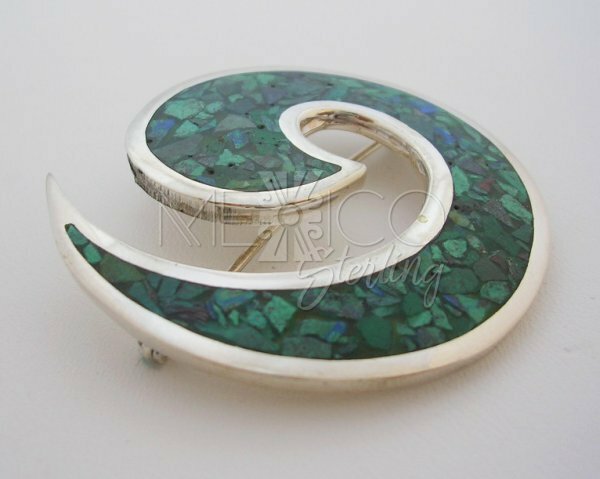 This silver spiral wave is a brooch that was made in the mid 1980's and It has the "old Taxco" charm and beautiful ancient look. 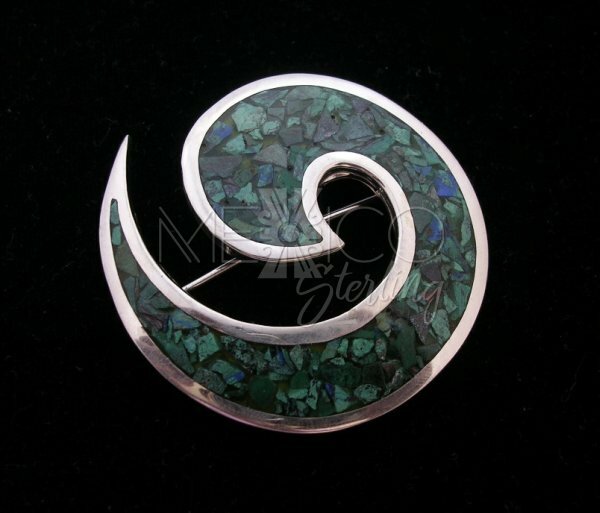 It is a solid, sturdy piece with a substantial weight for its size, and it is also handmade like most of my jewelry. 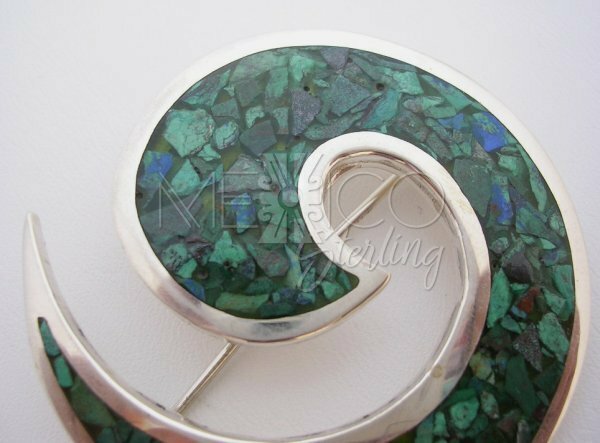 The pendant-pin is in absolutely mint condition.